Outdoor Classroom Day is a campaign started in London, England with the support of the global ‘Unilever Dirt is Good’ family to advocate, celebrate and encourage play and learning outside the classroom. 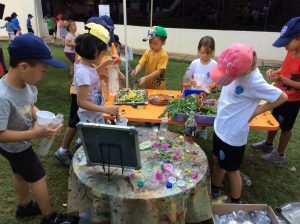 Schools worldwide have joined the movement to inspire and set an example to others that outdoor play is a significant part of learning. In India, ACE Trust ‘Action for Children’s Environments’ is leading the campaign. 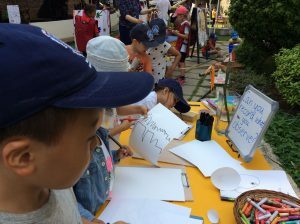 On the appointed day, thousands of schools around the world take their lessons outdoors and this year, along with the MBIS preschoolers we had over 3.5 million children in over 100 countries joining together to celebrate the power of outdoor learning. 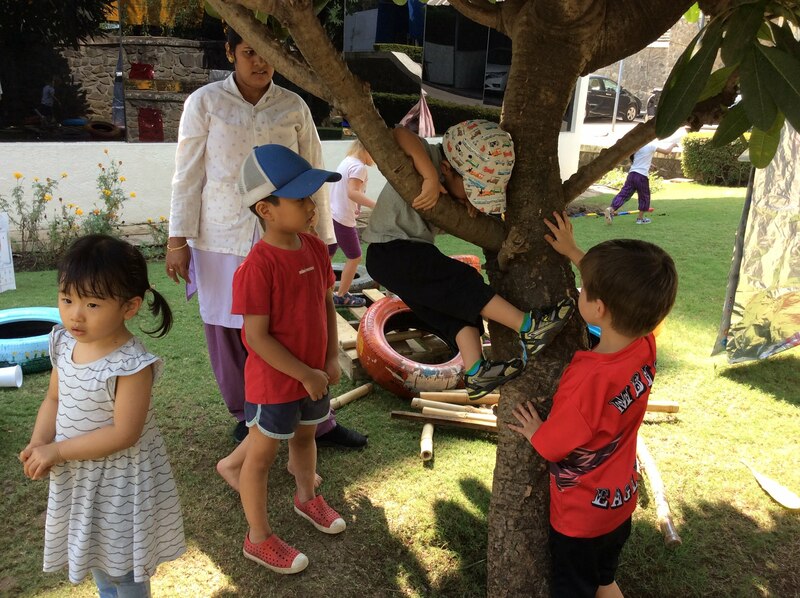 Outdoor learning has proved to be beneficial for children and a good motivation to enable children to freely explore for purposeful learning and development. Apart from making learning enjoyable and releasing energy, it encourages them to think outside the box, solve problems, increase their creativity, improve their health, strengthen social skills, teamwork and collaboration, it helps them connect better with nature and strike a balance with technology. This was the second time our school participated in this event. November 1st, was officially the date but as it fell during our Diwali break, we celebrated it on the 29th of October. 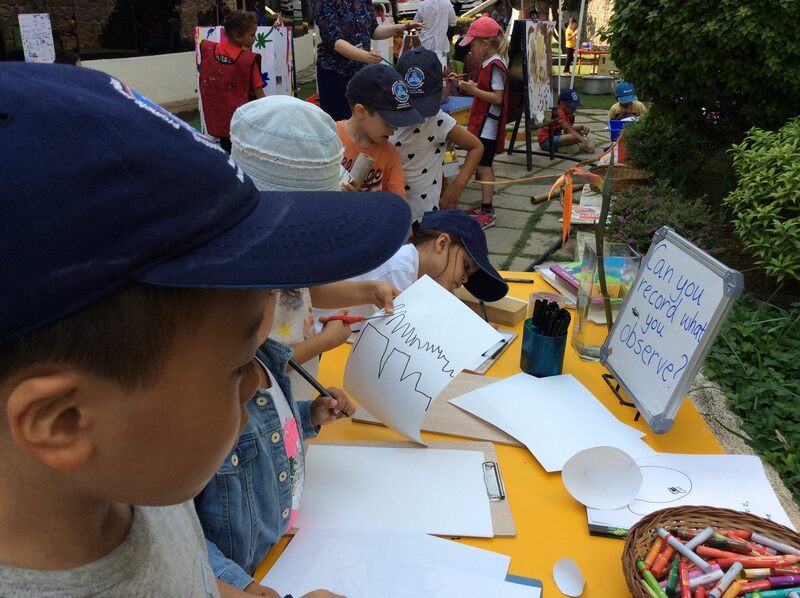 To allow the children to have a voice through their choice, the teachers of Preschool discussed with them what ‘Outdoor Classroom Day’ was all about and asked them to make a list of things that they would like to do on that day. From the long list of ideas, some common ones were chosen and stations were set up to support the learning, such as a painting station, a station where they could make magic potions, an investigation station where tools and stationery was made available for them to make observations and record them, a mud kitchen for them to cook some delicious food, teepees to spend a quiet moment, read books or just play with friends, a variety of loose parts for them to harness their creativity, thinking and problem-solving skills. It was wonderful to see the enthusiasm among our children and teachers. The children were such a happy energetic bunch and were excited and eager to explore. 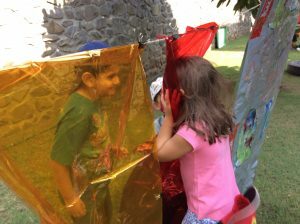 Some children chose to run around playing tag, some painted, some explored the colourful transparent sheets that were hanging on the line with torches, some cooked mud pies and made some interesting drinks for their friends and the teachers, the magic potion station had bottled potions with all sorts of magical powers, the teepees had children reading books with torches or children role-playing real-life situations. Children used the loose parts in a variety of ways, building bridges and towers etc., they painted pictures, drew on the tiles and walls with chalk, made groups to play games and some used the magnifying glasses to observe bugs and plants that were around. They were risk takers when they tried climbing the tree and learned from trial and error. It was especially a powerful experience for children who struggle with the structured environment of the class. 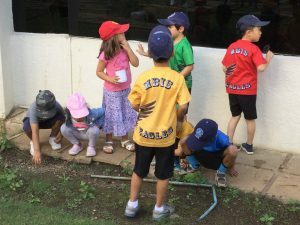 The impact on children when experiencing an exciting and inspiring outdoor space is huge and we need to encourage this to enable children to develop both academically and emotionally. With the pressure on them and advancement of technology, they are spending more and more time in front of a screen. We can change this! As teachers, by promoting more outdoor learning and as parents, by taking your child to parks, encouraging your child to spend their play time outdoors or read a book for them in the garden.